Lexie is a YouTube addict and we found she was constantly asking to play this song or that song, so we ended up making her own playlist with her favourite songs on to listen. 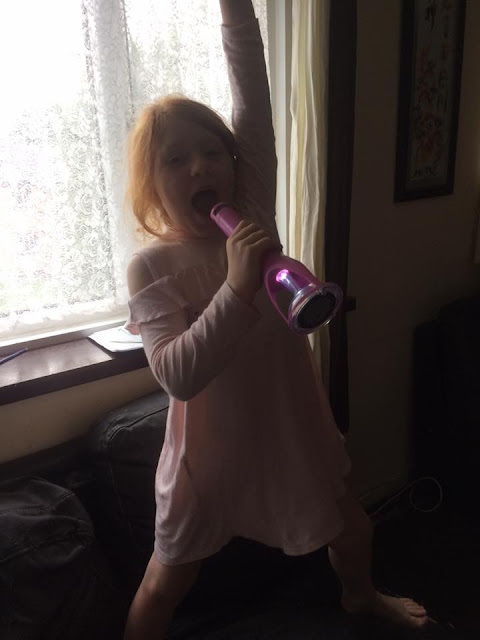 She has asked for a microphone again and actually got a frozen one for Christmas with the stand it didn't last long as it was always falling over or So I was really excited when the Rocket Singing Machine was on its way, as it's completely wireless and stand less. While singing along to their favourite songs children can amplify their voice and have fun playing with the echo and volume effects. On connecting via Bluetooth any music can be played through the speakers including thousands of free songs from the available apps, meaning they always have the perfect backing track to perfect their performance too. Feel and sing like a pop star in your own living room. Lexie has had so much fun dancing an designing go her playlist. You can also have great fun connecting the Rocket Singing Machine to Apple’s Siri and ask it questions from up to 10 meters away. The Rocket Singing Machine requires three AAA batteries to work. 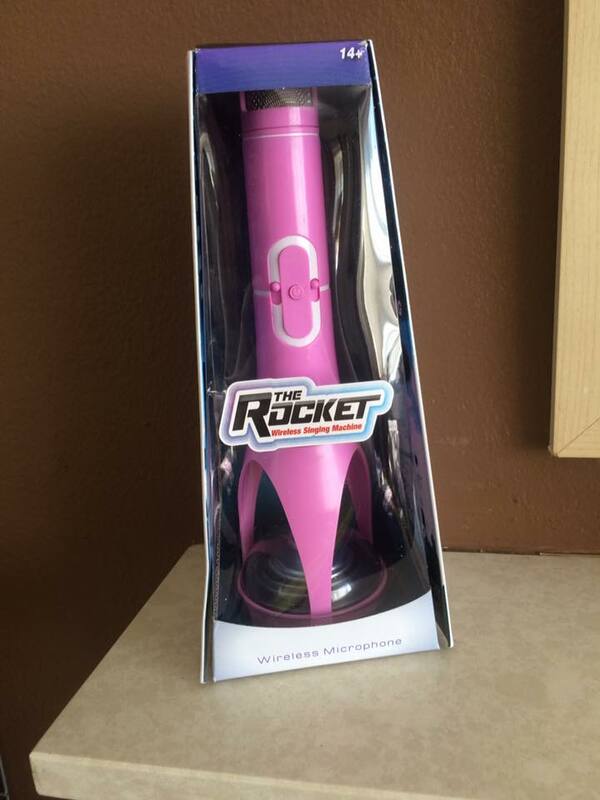 The Rocket Wireless Singing Machine is looking for a star. If you have a child that you think could be a star simply send us their best singing video to the Rocket Star Competition.